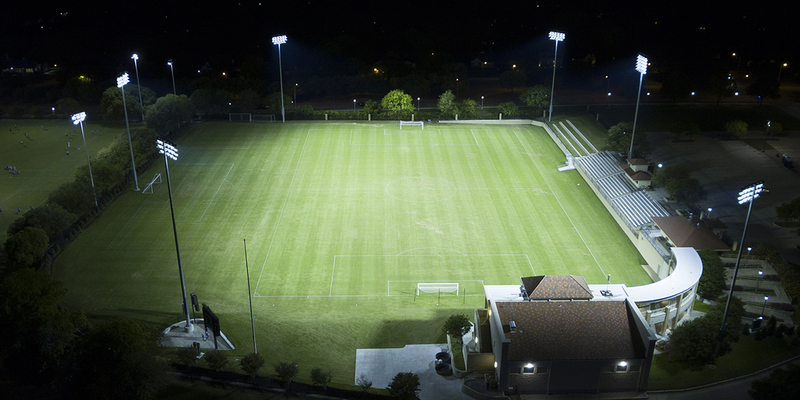 “The addition of Musco LED lights to our soccer complex renovation was a big upgrade. 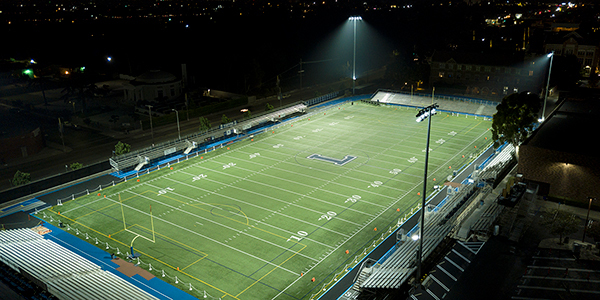 We were able to increase the light levels on the field, focus the light more directly to help eliminate the spill over as well as cutting our energy usage, it was another win for our soccer program." Texas Christian University (TCU) in Fort Worth, Texas, has a long history of providing student-athletes with state-of-the-art facilities. 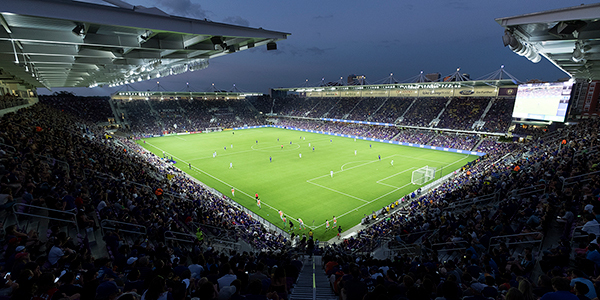 The Garvey-Rosenthal Soccer Stadium, where TCU’s home soccer matches are held, was in need of a lighting upgrade to meet the national broadcast standards set by the NCAA. With a plethora of night games scheduled for the upcoming season, TCU officials began the search for a lighting solution that would meet the NCAA standards and deliver to the students and fans an enhanced night game experience. Increased Light Levels – Light levels increased by 33 percent compared to the previous system, which now meets the national broadcast requirements. 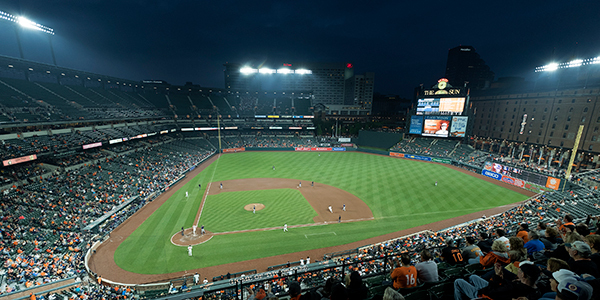 Elimination of Glare – Patented glare control technology reduces spill light by 99.5 percent in the area surrounding the stadium compared to previous lighting system. Remote System Management – The system includes remote monitoring and can be controlled by calling the 24/7 call center or by using the Musco app, allowing for ease of scheduling. No Maintenance Costs – The University will not have to worry about or pay for any maintenance or labor costs for the next 25 years.